Garcinia Cambogia Review & Most Important Facts - Warning! 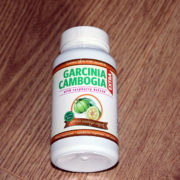 Garcinia Cambogia is an exotic citrus fruit. It is related to oranges, tangerines, lemons and limes . This fruit is native to Southeast Asia & also called Malabar Tamarind as its primary use is culinary. Like most safe to consume plants across the world, it has found extensive use in local cuisine for some centuries. Few years ago (I don’t remember exact date) while shopping for groceries at my local super market, I came across Garcinia Cambogia supplement. It came with 25 sachets box labeled as some kid of “slimming tea”. It came with lemon, ginger & mint flavors. I just had to do empty 1 sachet into warm water. Since, it is easily water soluble, it tasted good (bit sour), had no awkward smell or bitterly after-taste. It wasn’t very expensive either. I think I paid about 8-10 bucks for 25 sachet box. Yes, it instantly l curbed my appetite! I would always feel energetic for at least 2 hours after drinking the Garcinia tea. Contrary to normal marketing hype of “fat burner” I feel Garcinia as a strong appetite suppressant. It curbs the hunger & gives a bit of energy boost, thus makes you eat less. Eating less and reducing number of calories intake is important if you are trying to lose weight. Unfortunately this slimming tea is not available anymore. I have been trying to get it from many places. I don’t know what happened to the company. Probably their sales were collapsed due to large number of internet scams. Though the fruit itself is a fairly typical citrus fruit, filled with vitamins and a bit of fiber, its rind has recently made an impact on the world of health. The rinds of the Garcina Cambogia is laced with a substance called hydroxycitric acid. Much like the fruit itself, this extract has been used for centuries in local cooking; but as of late it has become better known as a nutritional supplement intended to help users lose weight. The extract of the rind is available in most health and supplement stores, typically as a capsule or powder. A few healthy snacking options include it as an ingredient. In most cases, the dosage is between 250 and 1000 milligrams of the extract each. Though it is an all natural substance, its full potential is poorly understood, even inside of the medical science community. Most of the clinical studies conducted on the Garcinia have concluded that it has appetite controlling & mild lipid metabolism boosting property; however none of them have endorsed it as a strong weight loss supplement. It is none other than Dr Mehmet Oz of “Dr Oz show” fame! He described it as a miracle weight loss supplement. Although Dr Oz did not endorse any particular brand, almost all the manufacturers are illegally using his name & picture. Dr Oz gave several clarifications later-on & even did a special episode. Visit any popular health & fitness website; you’ll see at least one article, blog post or advertisement for Garcinia. My advice to you is, never give your credit card info for free trial offers, especially if the website in question is unknown. If you want to give a try then read the terms of service & fine print carefully (normally written in small font size making it difficult to read) If you really want to try a supplement, buy it by making full payment for single bottle & avoid the hassle of canceling recurring charges. GarciniaCambogiaExtra by Baur Nutrition is selling pretty decent capsule with Raspberry extract. It contains 1000mg Garcinia + 200mg raspberry ketone. While I haven’t used this particular product, I have used some other supplement from this company. This company doesn’t enroll you into auto-shipment program. So you are safe by making full payment. You can read this review written by an expert or visit the official website to buy it. I guess finding useful, reliable inomtoarifn on the internet isn’t hopeless after all. At last! Someone who unaedstdnrs! Thanks for posting!